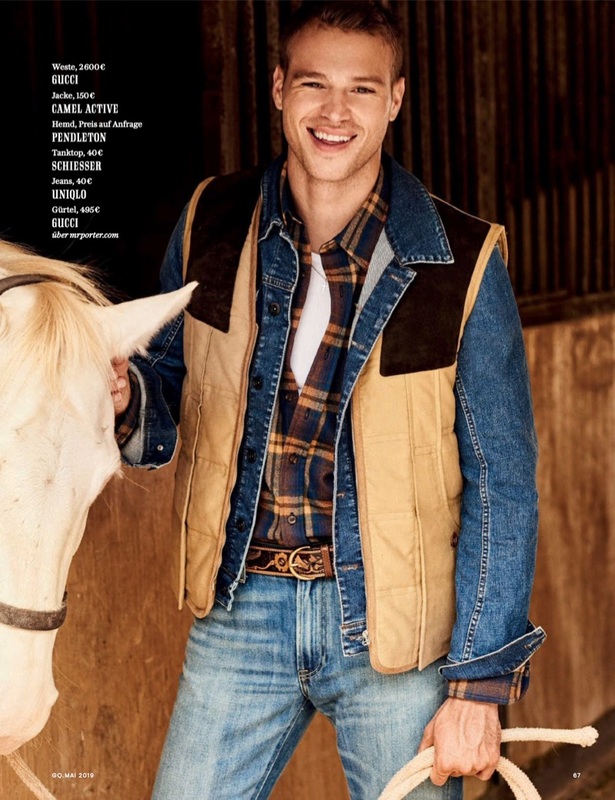 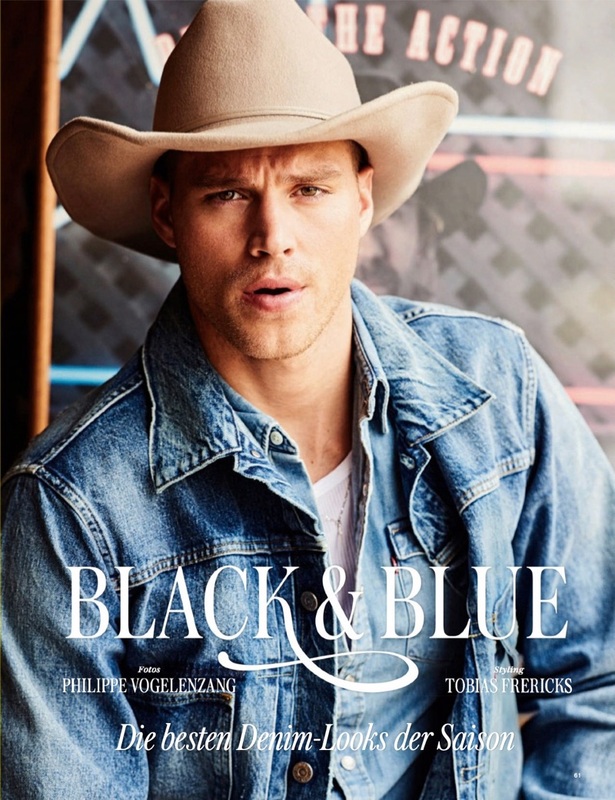 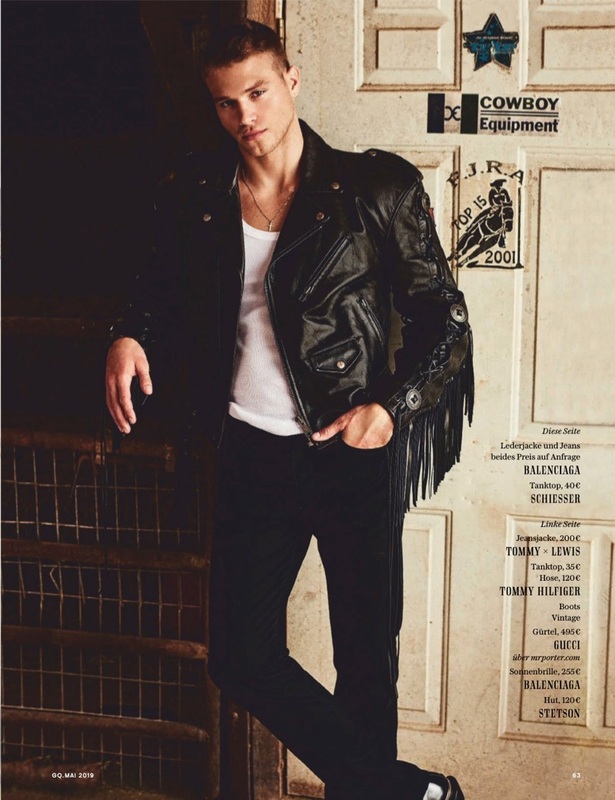 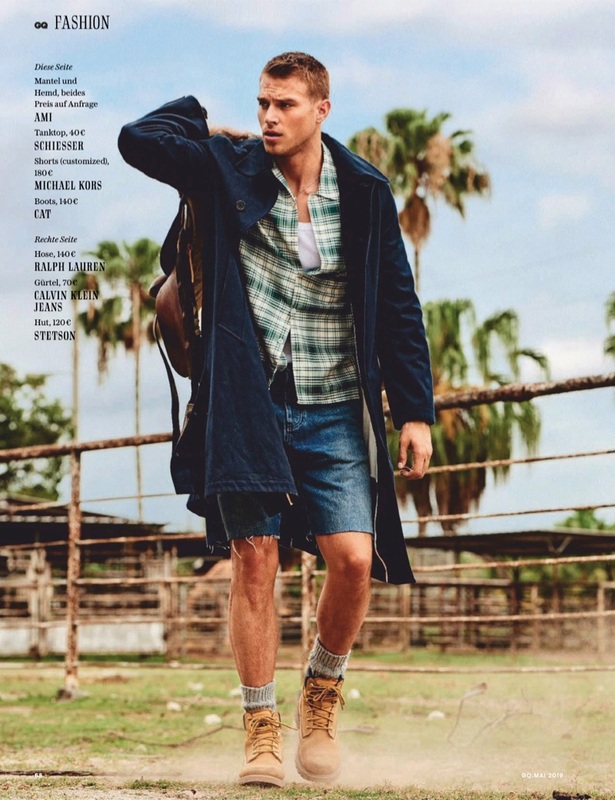 Matthew Noszka puts on a cowboy hat and boots for the May 2019 issue of GQ Germany . 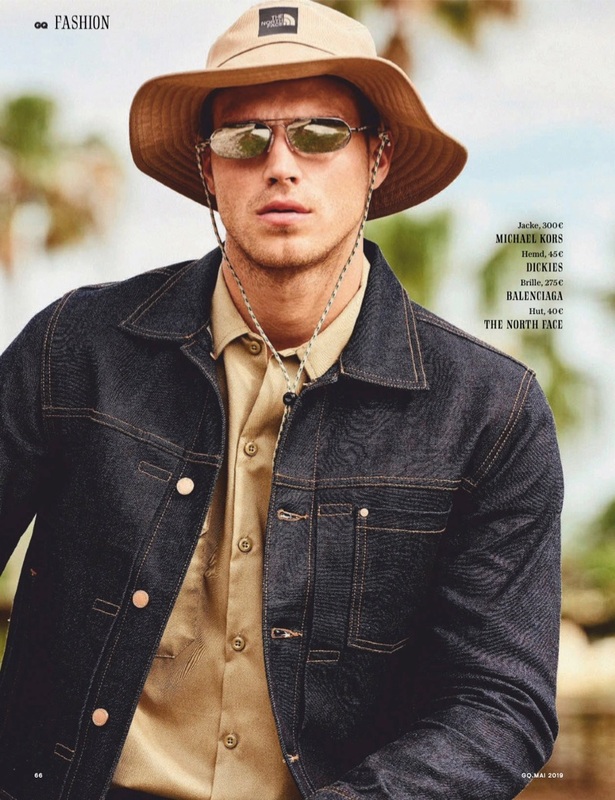 Showcasing classic denim for the season, Matthew gets his hands dirty in a shoot by photographer Philippe Vogelenzang. 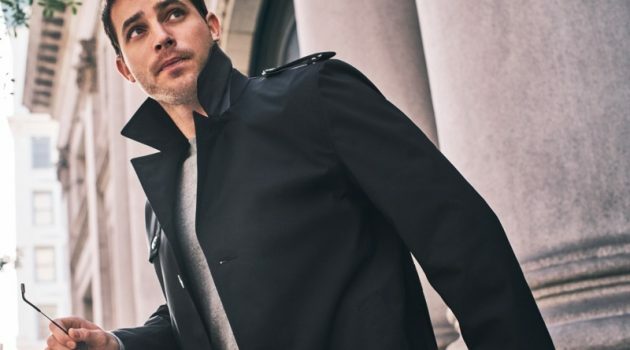 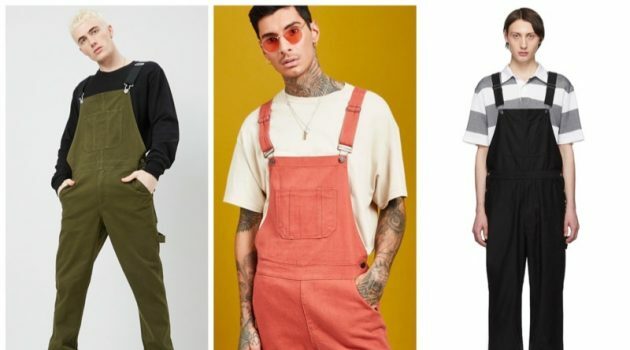 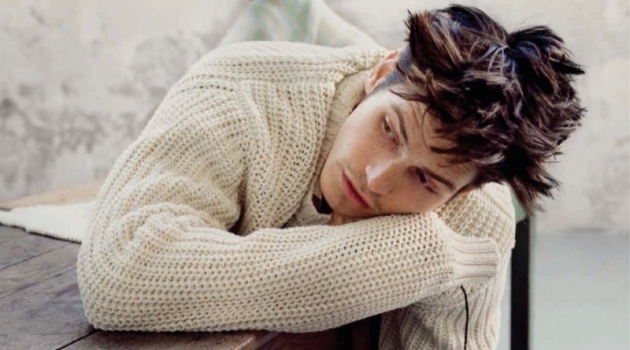 Stylist Tobias Frericks curates a smart selection of denim jeans, flannel shirts, and more. 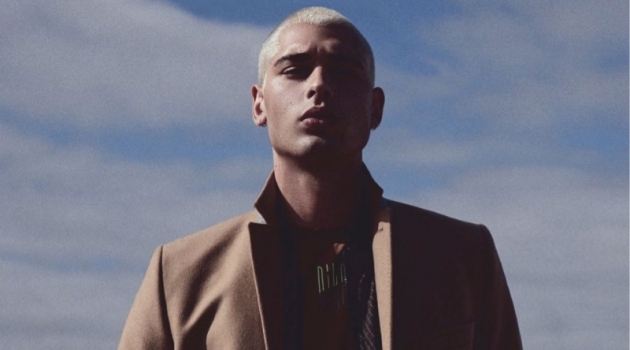 Brands range from Balenciaga and Tommy Hilfiger to Gucci.